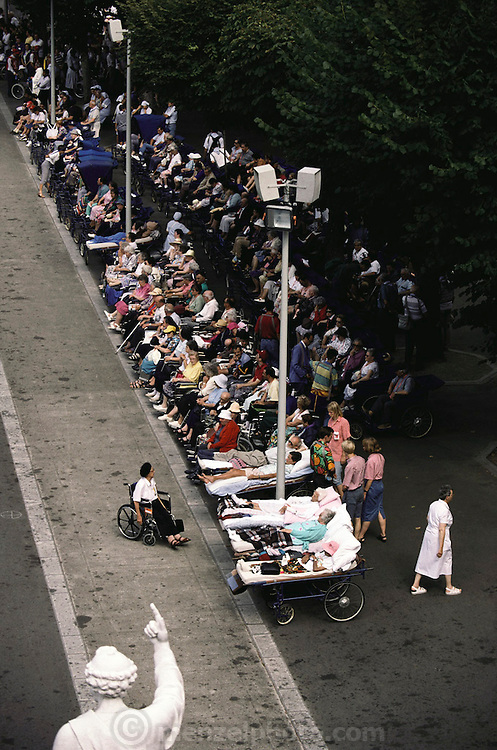 Lourdes is a world pilgrimage center for Catholic faith healing. It has 5 million visitors per year. Lourdes, France.